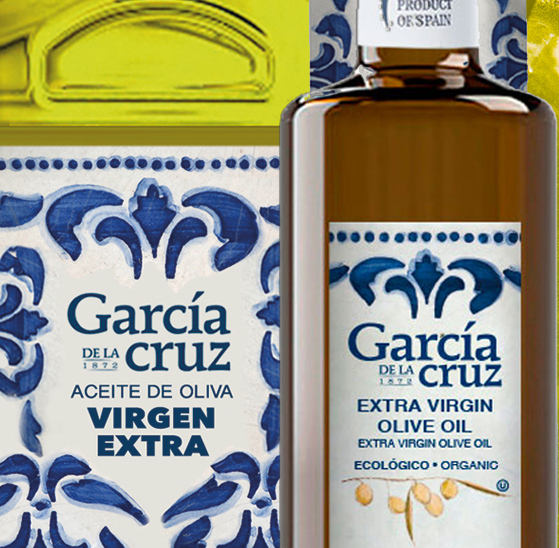 For years Garcia de la Cruz offered Olive Oil Tours, guided visits to the mill, so that our visitors can learn about, the extraordinary world of olive oil from specialists in the sector. 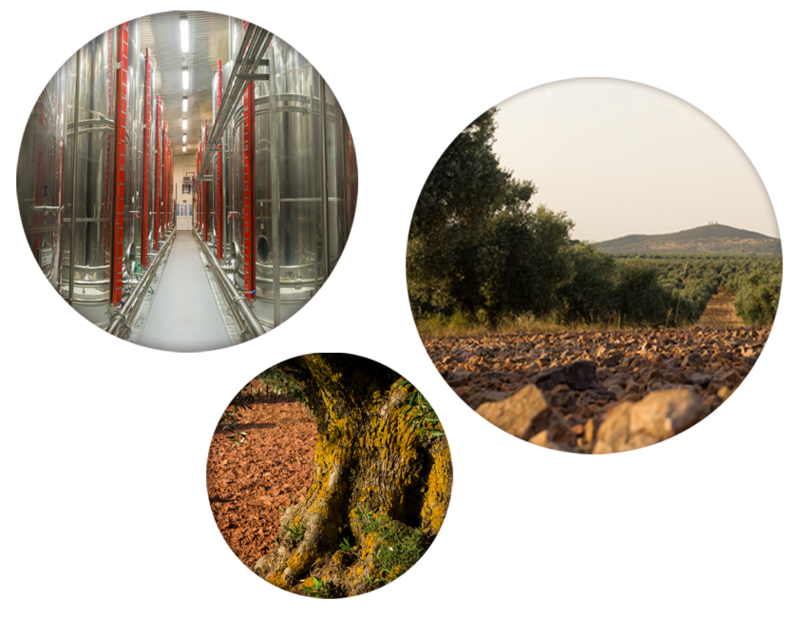 We are one of the few oil mills in Spain that has a centuries-old tradition of olive oil production, with five generations of the same family who have given exclusive and uninterrupted dedication to the production and elaboration of the highest quality “liquid gold” . That’s why we find ourselves endorsed by numerous national and international awards, as well as the most important quality certifications. 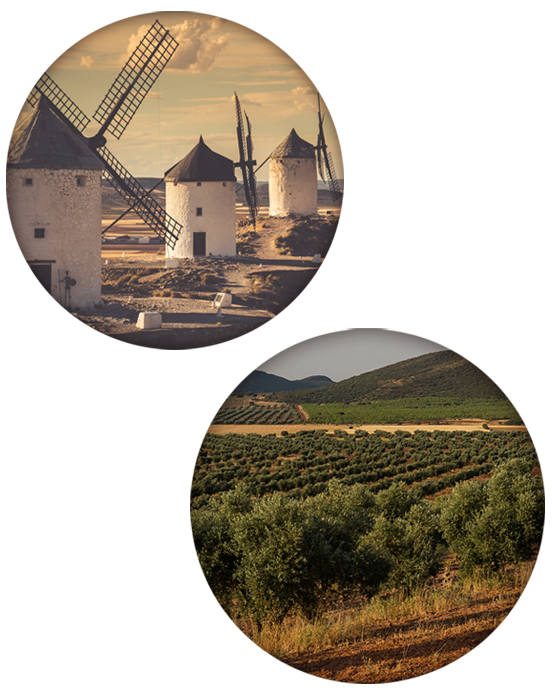 Our mill is located in the foothills of the Montes de Toledo. It is an area with a millenary tradition of olive cultivation and one of the main producers of extra virgin olive oil in Spain. DO YOU WANT TO LEARN ALL ABOUT IT? VISIT OUR MILL! Welcome under a centuries old olive tree, over 500 years old. Introduction to the world of olive oil. 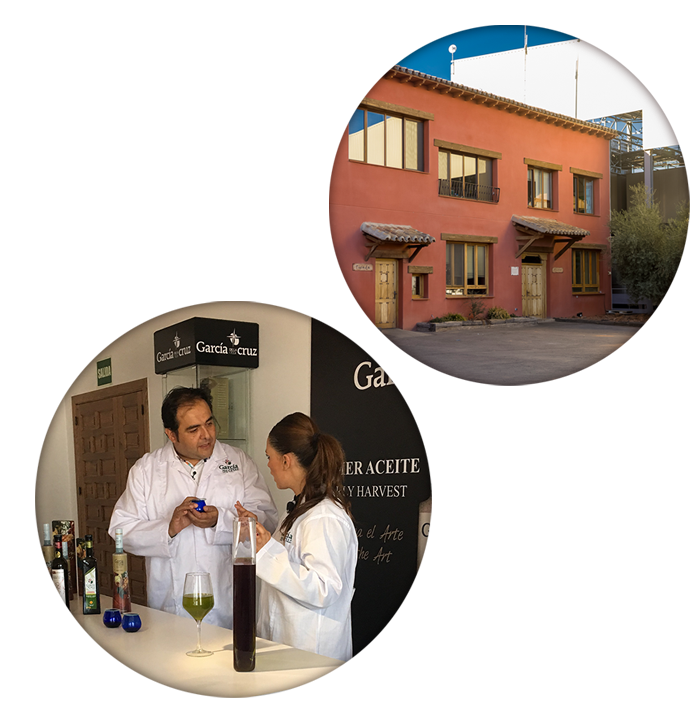 Visit to the mill to learn the steps in olive oil processing. Visit to the bottling plant where the oil -packaging process will be explained. Visit to the installations, to take a tour of the centennial history of the company. Tasting of a selection of olive oils. Students and children under 12 years old: 3€ *For an extra 3 € you can enjoy the Mill Lunch. We offer a guided visit to the olive grove on which you will learn from a specialist the difference olive varieties and the all the care that is required for them.. You can visit century-old olive groves cultivated in the traditional fashion, and also see the advanced techniques of intensive and super intensive olive growing. Afterwards we will make a tour of the grinding mill. *For an extra 3€ you can enjoy the Mill Lunch. 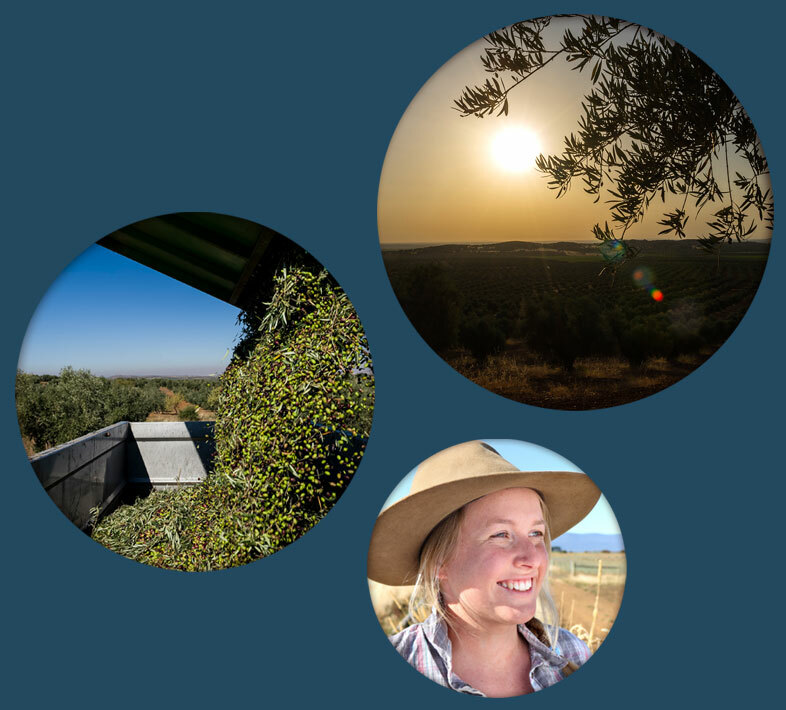 If you want to live the full experience of olive oil, you must become an olive picker. Live the experience of harvesting an olive tree with your own hands. The visitor will be able to harvest the olives of an olive tree following the traditional techniques, and experience first hand all the processes carried out in the picking of the olives. Then we will move to the oil mill where they will know the process of extracting the oil from the olives harvested just four hours before, as well as the subsequent packaging of “liquid gold”. *For an extra 3 € you can enjoy the Mill Lunch. Olive oil tourism, cultural tourism and gastronomic tourism merge in this visit. A new way to enjoy tourism. The visit begins in a 17th century mill complete with the original machinery , in which a friendly character “the miller” acts out life in the mill as it was. The tour continues with the visit to the oil mill. We finish with a tasting of products made with flours and olive oils in an eighteenth century La Mancha farm “La Alameda”. If you would like another combination of activities on your Olive Oil Tour, don’t hesitate to let us know. We can adapt the programme to fit the preferences and needs of our clients. Monday to Friday: 09:00-14:00 and 16:00 -19:00. 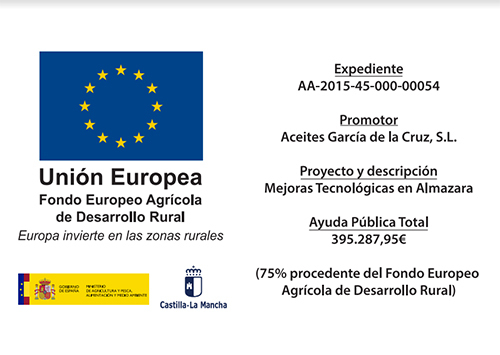 If you would like to receive further information on our products and prices please contact us. To make reservations or to clarify doubts on any of the tourist packs we have, you can contact us at the following e-mail address or telephone, or if you prefer by completing the contact form.